Welcome to 1315 Covington Rd! 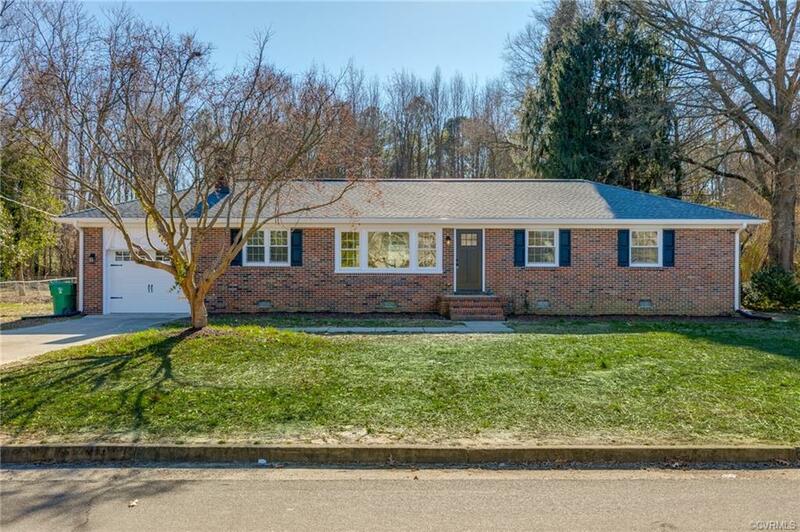 This beautiful remodeled brick ranch home features 3 bedrooms and 2 full bathrooms. This renovation has brought this home back to life with a modern concept floor plan. Living room features a brick gas FP, built-in bookcases, and vaulted ceiling. Kitchen is brand new with new cabinets, fixtures, stainless appliances and an island. There are hardwood floors throughout and tile in utility room/bathrooms. The utility room is off the garage and has extra storage and full bathroom. Roof is less than 5 years old, HVAC was serviced this year, electrical has been upgraded, and new windows & garage door. Situated on a large private lot - the backyard feels like a park setting! All with a one car attached garage. You don't want to miss this one! Directions: Conduit Rd To Right Onto Covington Rd, Home Is On The Right.